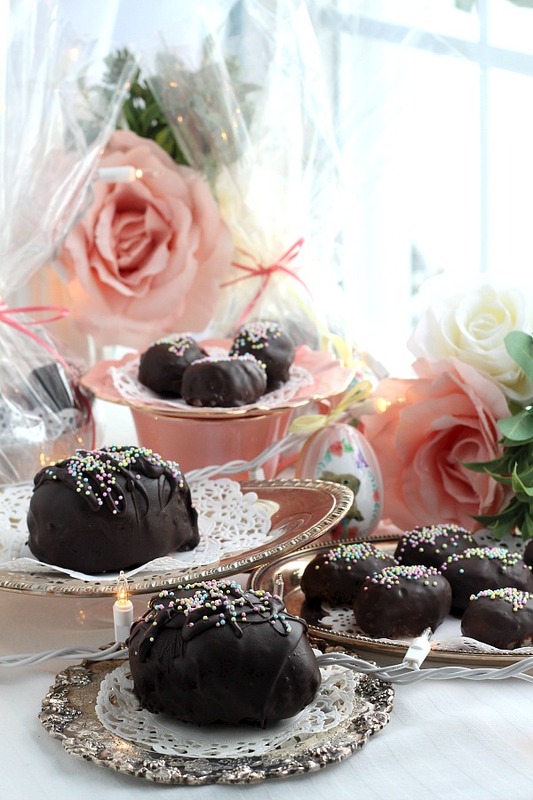 Homemade coconut buttercream Easter eggs are such a happy memory from childhood. I remember how pretty they looked through the cellophane on the box they came packaged in. 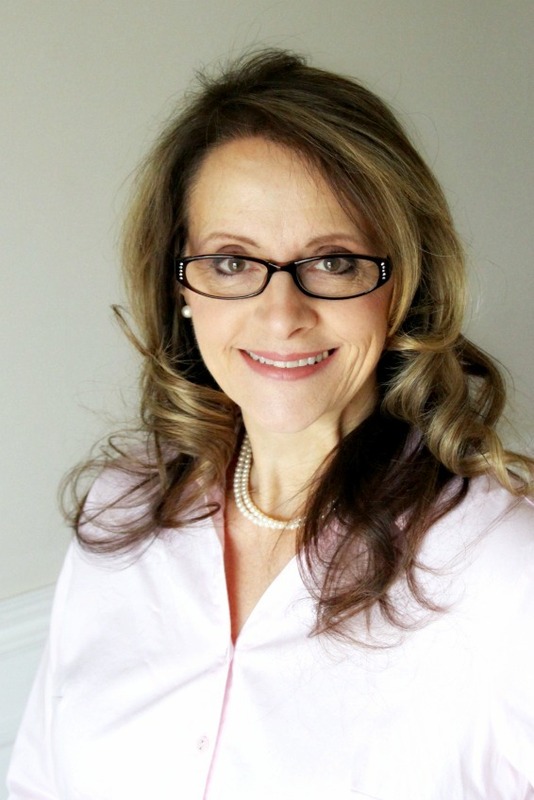 It took the place of honor in my Easter basket amid the colored hard-boiled eggs, tall chocolate bunny, jelly beans and the pair of lace-edged socks to wear with my new Easter dress. 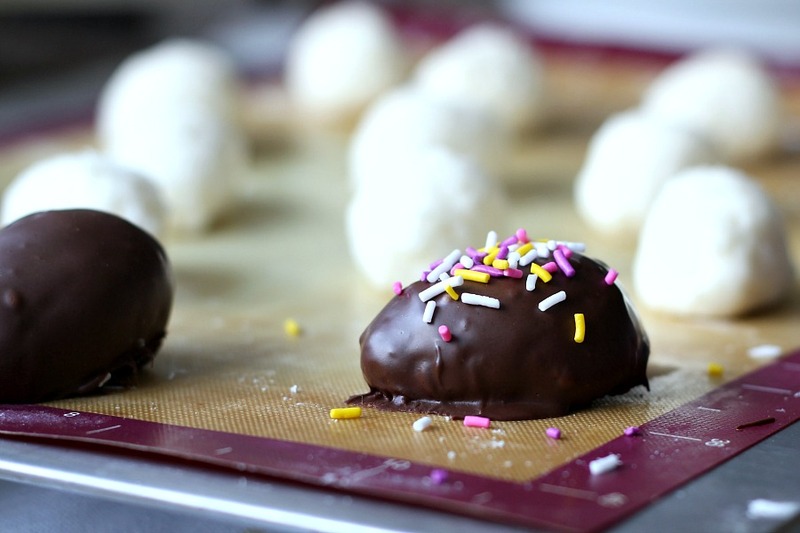 Try these easy-to-make chocolate covered coconut Easter eggs. I don’t get pretty socks each Easter anymore but I do still enjoy coconut buttercream eggs. Enjoy is putting it mildly. I LOVE these sweet treats! And so does our baby girl, Abbey. She is 26 now but, you know, the youngest will always the baby. That large egg on the silver tray, that one is hers. 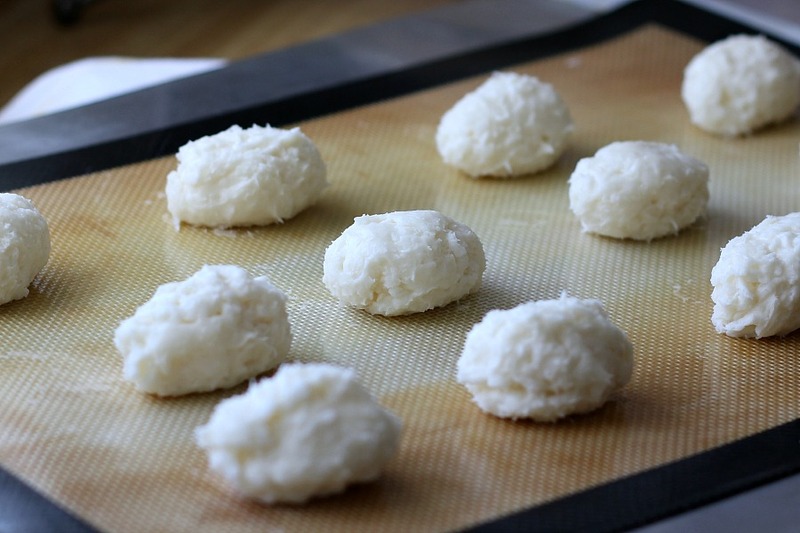 After making and chilling the coconut buttercream mixture, measure out portions, roll into balls and shape into an egg. Place eggs onto a silicone covered baking sheet and chill again. Using either melting disks or chocolate chips, melt them in the microwave. 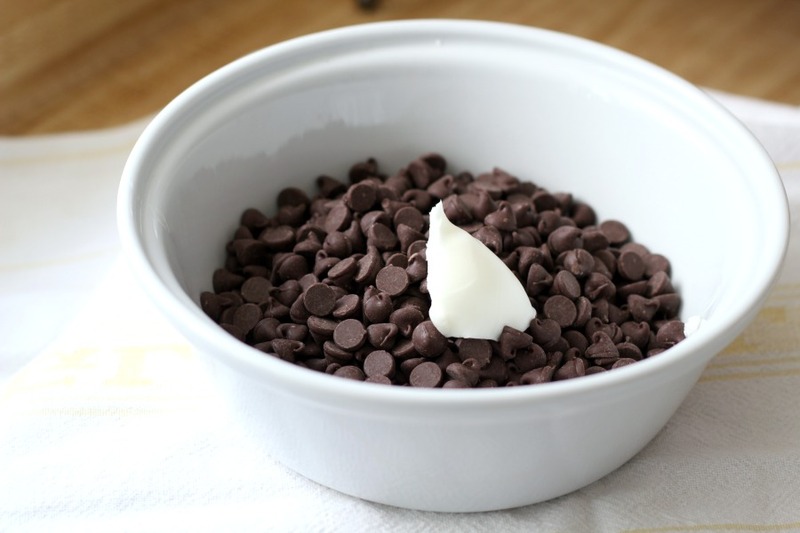 If using chocolate chips, adding a small amount of shortening helps. Coat each coconut egg in the melted chocolate. 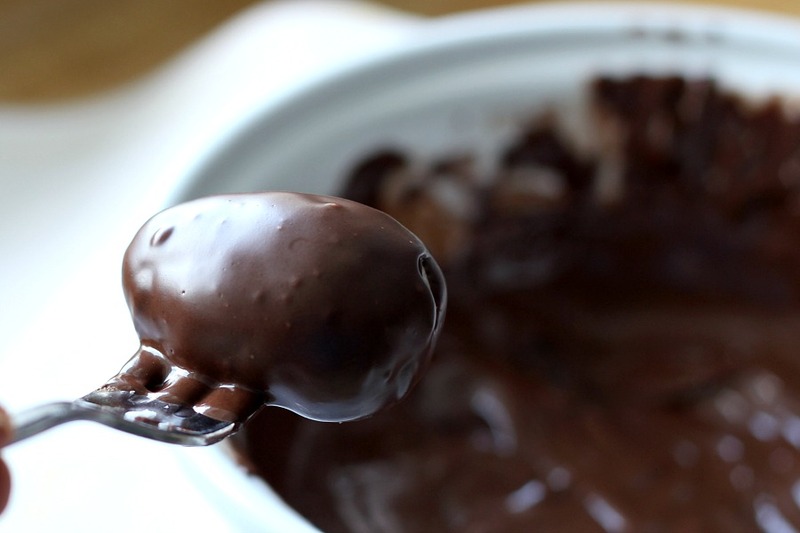 Tap against the side of the bowl and allow excess chocolate to drip back into the bowl. Add sprinkles or jimmies right away while the chocolate is still soft. In mixer, combine softened butter and cream cheese. Gradually add the confectioners’ sugar, salt, and vanilla; mixing well. Stir in the coconut, and mix until well blended. Chill in freezer for about 30 minutes. Place on cookie sheet, covered with a silicone mat or waxed paper. If desired, top with two almonds, pressing slightly, to secure. Refrigerate or freeze for an hour or so (I refrigerated overnight, covered with plastic wrap). Melt the chocolate in glass bowl in microwave following package instructions. 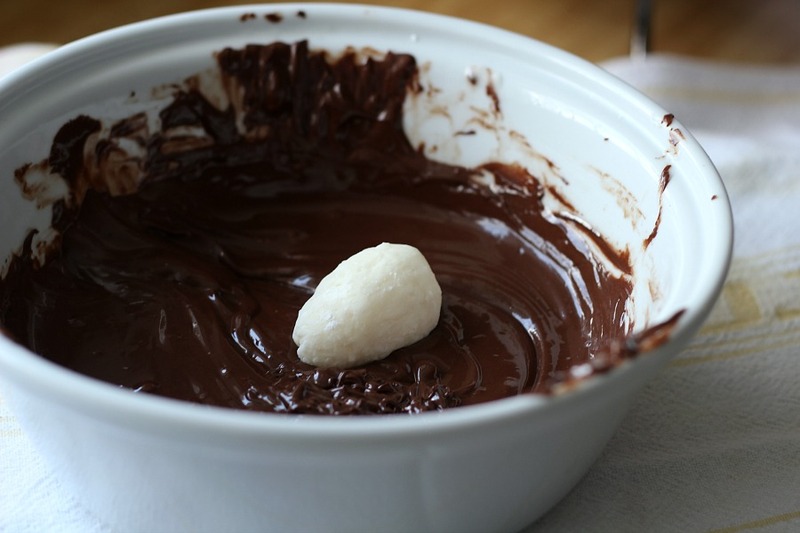 Using two forks, roll egg in chocolate to coat, tapping the fork on the side of the bowl to allow excess to drip off. Slide chocolate covered egg off of fork onto silicone covered baking sheet. When all eggs are coated, chill in refrigerator until chocolate is hardened. To store, place eggs into a container with a lid, separating layers with waxed paper. Cover tightly and keep in fridge until ready to serve. 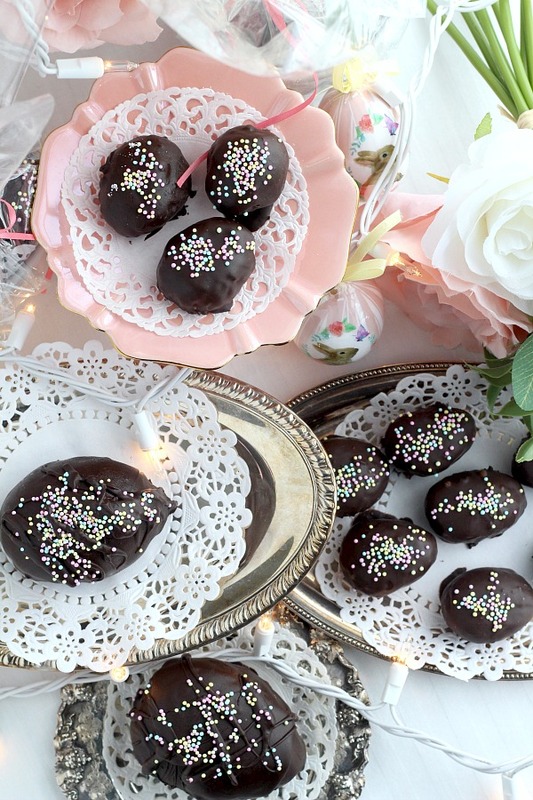 I have made these eggs many times and have used both melted chocolate chips and melted candy disks. We found little difference in taste and I thought the disks were a little easier to work with when coating each egg. If using chocolate chips, you might want to add a teaspoon of Crisco when melting to help with coating. 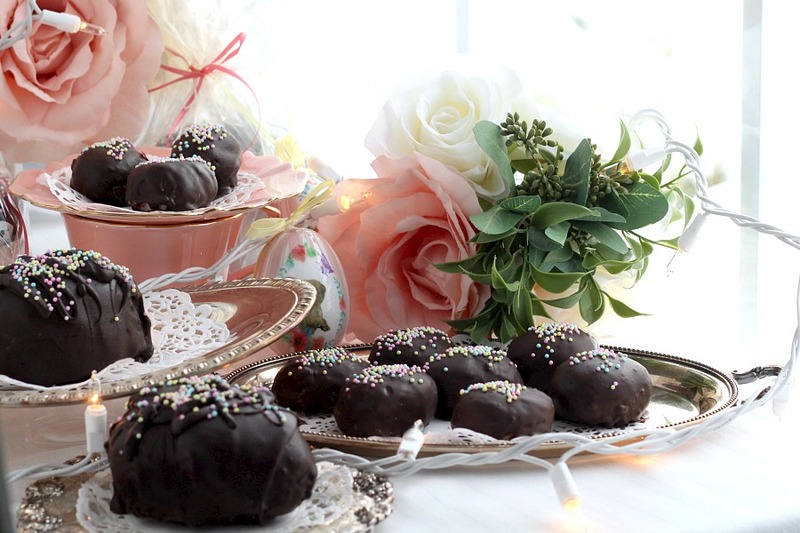 If decorating with sprinkles or jimmies, sprinkle them on right after dipping when the chocolate is still soft. I love coconut, but, if you prefer, you can omit it from the recipe. Yum! Looks and sounds delicious! 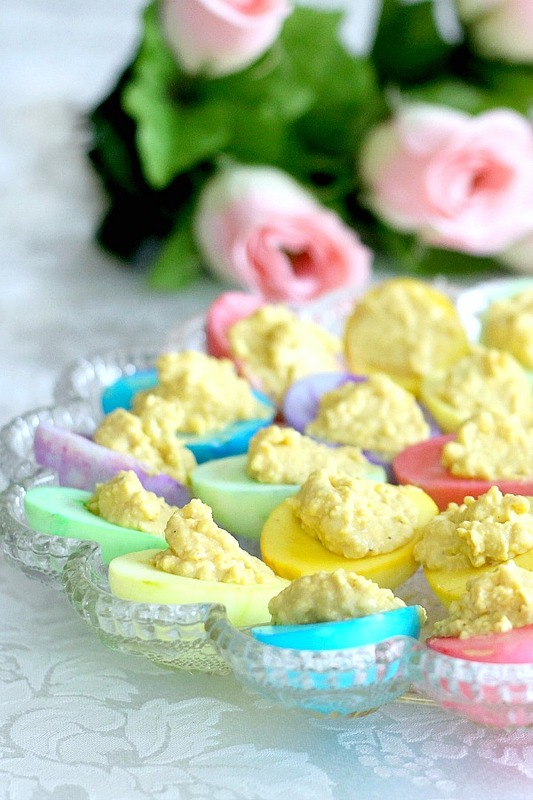 I clicked over to your colored deviled eggs too–so pretty! Have a blessed Easter. They look easy and good and you photographed them beautifully!